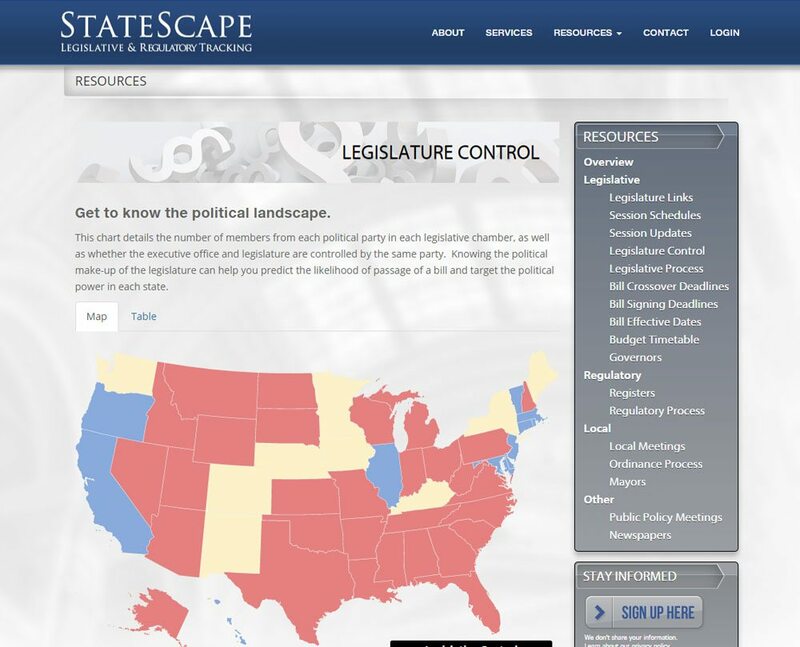 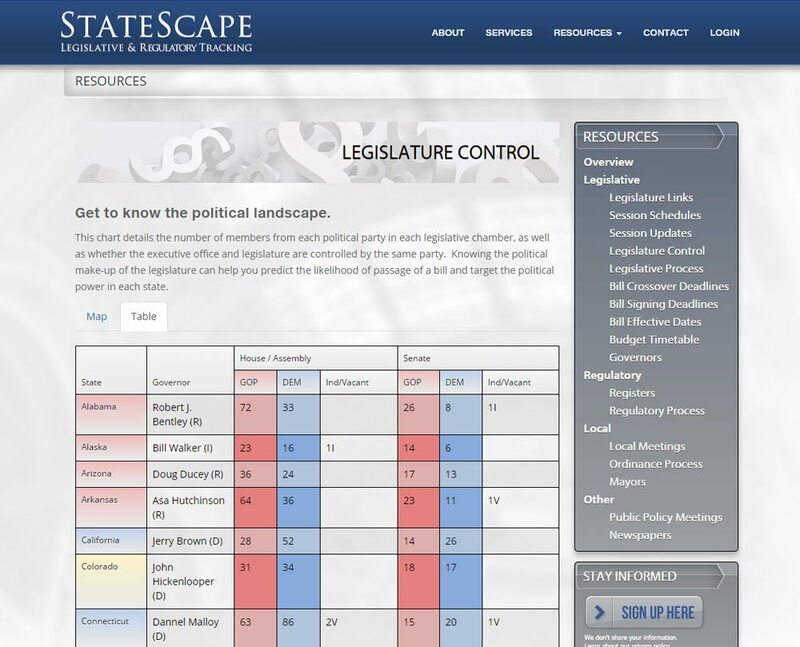 StateScape was founded in 1991 by a veteran of state and local government affairs, whose mission has been to develop the best possible tools to filter, track and deliver legislative and regulatory information. 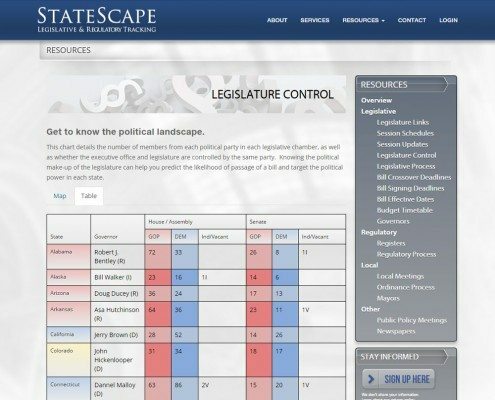 In those days, calling a statehouse “billroom” was the only way to obtain bill text, and the fastest delivery option for client reports was a floppy disk sent by overnight mail. 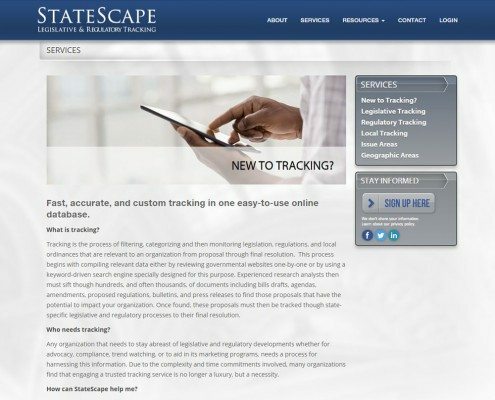 The advent of the Internet presented the opportunity to retrieve, filter and deliver state legislative and regulatory information at speeds few in the tracking industry had previously thought possible. 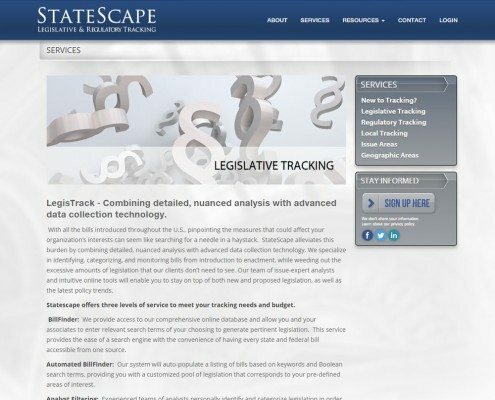 Seizing this opportunity, StateScape became the first state legislative and regulatory tracking service on the Internet, providing its clients with information through an easy-to-use online interface. Other company innovations followed, most of which are now considered standard industry practice. Examples of such innovations include enabling users to write notes about a bill within their tracking database and then share them with others in their organization, allowing clients to receive e-mail alerts on new and updated bills and regulations, and displaying online search results as maps. About to celebrate its 25th anniversary, StateScape’s client driven services continue to meet the needs of the fast-paced world of government relations. 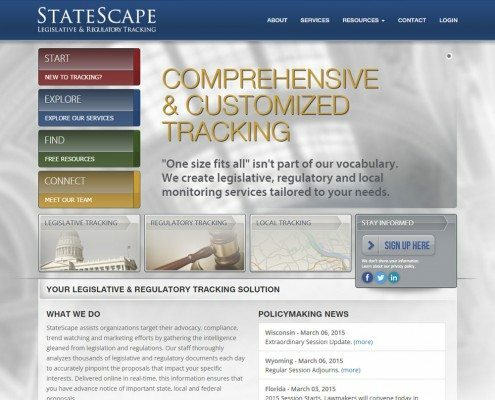 Although federal, state and local legislative and regulatory information is now publicly accessible; the challenge is no longer the availability of such information, but its volume. 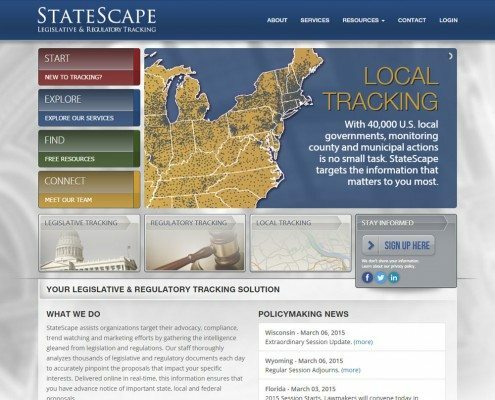 StateScape has risen to this challenge by creating tools that enable clients to receive filtered legislative and regulatory information at lightning speeds. 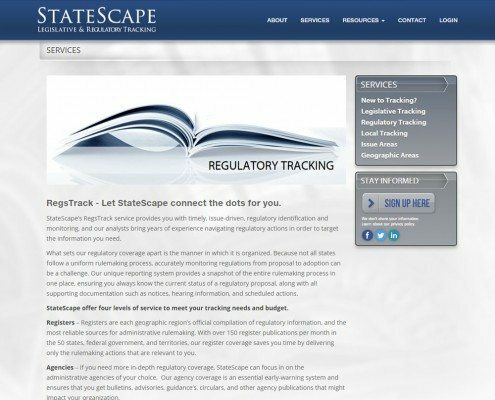 Finally, StateScape will again break new ground by offering legislative and regulatory coverage of Canada later this year. It remains the only firm to offer coverage of Guam and the Virgin Islands, and was the first to offer both legislative and regulatory tracking in Puerto Rico. StateScape is located in Alexandria, Virginia.